Pick up from the airport to Hanoi. Arrive Hanoi and check in Hotel located in the centre of the Hanoi Old Quarter. Get welcome drink when check in. 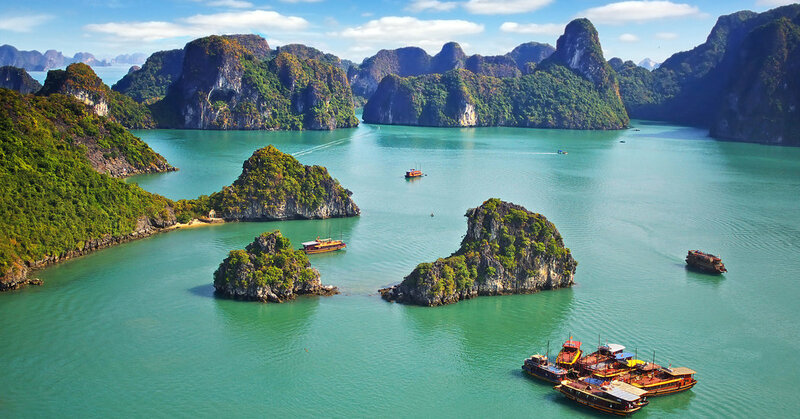 In the afternoon you will start to discover Halong Bay, listed as a World Heritage of outstanding natural beauty, known in Vietnamese as “Dragon descending to the sea“. Depending on each cruise’s itinerary of the day, you may visit a beautiful cave, have some swimming. At around boat starts cruising back to the harbor while brunch is served. We continue cruising through the bay, along the way seeing more of the fascinating formations. Activities: Continue cruising to explore the most stunning caves in Halong and have the brunch on board. Disembark then back to Hanoi. Spend the rest of the day on your own. You will have a breakfast at the hotel then free and easy till our driver come to transfer you to the airport. Arrive in Ho Chi Minh, pick up from the airport to hotel. Check in hotel then free and easy. Night 4: Overnight at the hotel in Ho Chi Minh. 7:45-8:15: Our tour guide and driver will pick you up at your hotel and then start leaving the hustle and bustle of Ho Chi Minh City and start your trip to depart for My Tho, the town lies on the left side of the Mekong River. Boarding the sampan and cruising down the river around the four beautiful islands known as Dragon, Unicorn, Phoenix and Tortoise islands. 7:45-8:15: Our tour guide and driver will pick you up at your hotel and then start driving to Cu Chi which located 70 km from the Ho Chi Minh City Center to the Northwest. 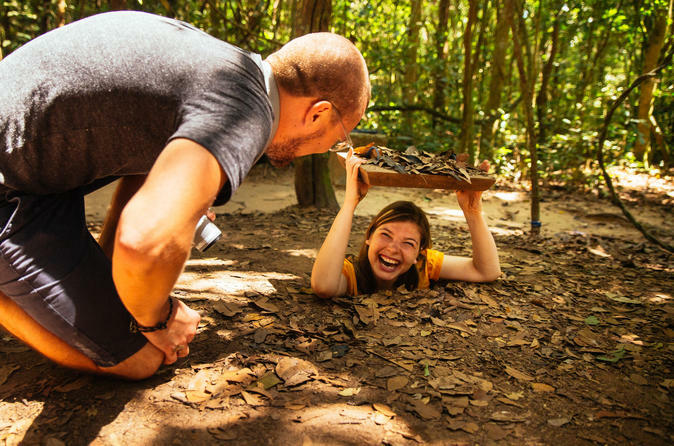 Cu Chi was known as the “area of steel” in the war time, and the tunnel systems were over 200km, which was considered the unbreakable underground village in the Vietnam-American war. It is legendary for its network of tunnels, and is a popular destination for both Vietnamese and foreign visitors. Night 6: Overnight at the hotel in Ho Chi Minh. Have breakfast at the hotel then free and easy. Wait until our driver come and transfer you to the airport. Trip ends. Please let us know if you want us to arrange few extra nights in HCMC or spend time in any beach resorts or Cambodia. Vegetarian meals are available, please request at the time of booking. Hotel and cruise will be replaced by similar standard option only in case of full booking.